Here’s another amazing example of a rider (jockey Nate Hubbard), who refused to let gravity and bad luck bring him down. 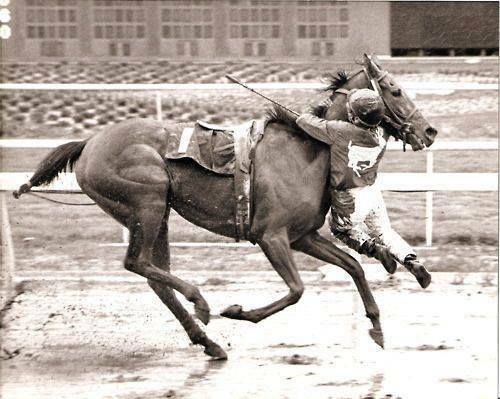 In fact, Hubbard held on for dear life after the filly, Sweetwater Oak, stumbled in the home stretch. He was still dangling from her neck as they crossed the finish line in second place. The track stewards ruled it an official finish because Hubbard’s feet never touched the ground and Sweetwater Oak carried her assigned weight throughout the race. I hope that never happens to me. Oh, right. It won’t. I’m not a jockey (thank God).